Primal Kitchen® Protein Bars are smooth, satiating and a soft blend of wholesome ingredients. Loaded with healthy fats and clean protein from cage-free eggs, coconut oil, nuts and flaxseed, these gluten-free and grain-free bars are an uncompromisingly delicious paleo and keto-friendly snack. 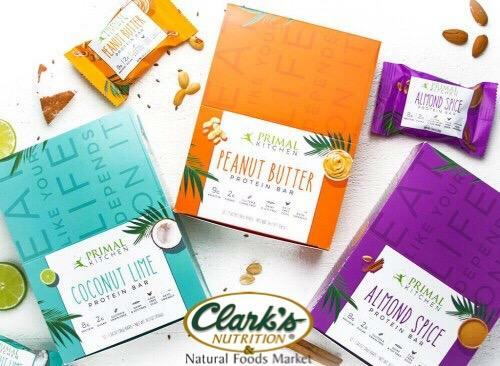 Available in Peanut Butter, Almond Spice and Coconut Lime flavors at select Clark's stores today.